Ever used a productivity app that everyone seems to rave about, yet when you give it a try it falls way flat of your expectations? How is this any different than before?!? I’m out this week so no new post. Instead here’s an article sent from a friend that reinforces the Aspire-Achieve-Do Goal setting technique posted a few weeks back. 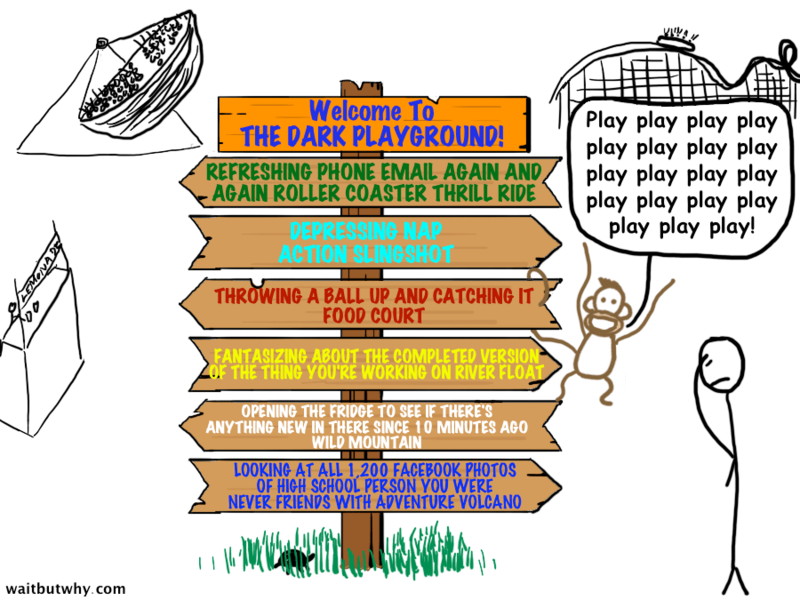 Learn about your Instant Gratification Monkey and why you should avoid the Dark Playground – as if “the Dark Playground” doesn’t sound creepy enough as it is. Spoiler alert: beating procrastination is about doing. Just start already, ok?!? And don’t try to tackle the whole project at once. Break it up into small little morsels and begin by laying a single brick, one at a time. Thanks to Wait But Why for the off week content. Fridays at BlueFletch are the best by far. The team is back from client sites, we’ll grill out for lunch, and the office happy hour isn’t far off. Fridays are also a chance to teach and learn with the rest of the team. BlueFletch(ers?) employees give a couple lunch & learn presentations throughout the year. Some are very work specific, such as the latest on Android. Some are just fun, like learning how to actually use that fancy DSLR you got your wife.